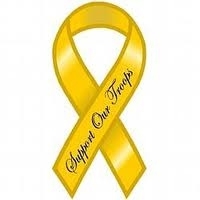 Sponsored by the Georgia National Guard, Warner Robins GA will host its first Yellow Ribbon Expo on Saturday April 9th from 8am-3pm at the American Legion located at 1345 Radio Loop in Warner Robins (across from the Ramada Inn on Watson Blvd). The event will educate spouses of deployed military members (any branch) on the benefits they are entitled to while their loved ones are serving overseas. With 26 organizations such as the Dept of Labor, Military One Stop, Robins Federal Credit Union, Transition Assistance, Tricare, and Veterans Affairs present, spouses can get the most current information on topics important to them. Childcare as well as both free breakfast and lunch are available. Contact the event organizers at (478) 201-1286 for more details.